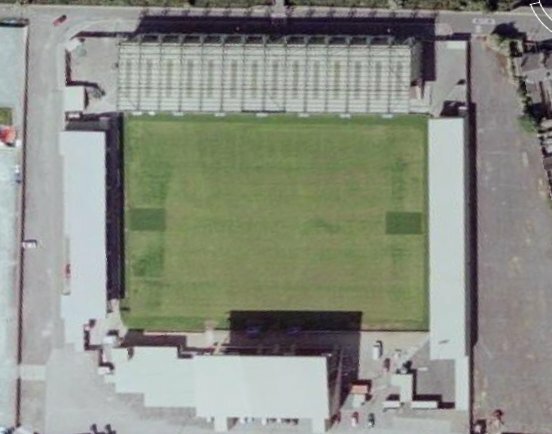 Take an aerial tour around Sincil Bank (requires Google Earth). Exit A1 at s/p 'Lincoln A46, Sleaford A17' onto the A46. At roundabout after 9.4 miles take 3rd exit (s/p Lincoln South A1434). Keep on A1434, following 'Lincoln and City Centre' signs for 4.3 miles. Then get into inside lane (s/p City Centre, Worksop A57) and go straight on (1st exit) at roundabout into the High Street. After 0.5 miles get in outside lane, and go straight on at lights (s/p City Centre, Worksop A57). After 0.1 miles turn right into Scorer Street. Exit A1(M) at the roundabout after the Fina and Shell garages (s/p Lincoln A57, E. Markham) onto the A57. At junction after 9.9 miles turn right (s/p Lincoln A57), remaining on the A57 which here runs alongside the Foss Dyke. At roundabout after 5.9 miles turn right (Lincoln South, Newark A46, Grantham A1) onto the A46. Straight on at roundabout after 1.8 miles. At next roundabout after 1.6 miles (by BP station) turn left (s/p Lincoln South B1190, Doddington Industrial Estate, Lincoln City FC Stadium) into Doddington Road. Straight on for 2 miles to T-junction. Here, turn left (no signpost) onto Newark Road A1434. Keep on A1434 following Lincoln and City Centre signs. Go straight on (1st exit) at roundabout into the High Street. After 0.5 miles get in outside lane, and go straight on at lights (s/p City Centre, Worksop A57). After 0.1 miles turn right into Scorer Street. Tip: Have some change ready for a small tollbridge (Dunham) en route. At roundabout which forms the junction with the A46, take 3rd exit (s/p Lincoln Central and South, Newark A46). Stay on A46 for 5.0 miles, over two roundabouts. At 3rd roundabout turn left (s/p Lincoln South B1190, Doddington Industrial Estate, Lincoln City FC Stadium) into Doddington Road. Straight on for 2 miles to T-junction. Here, turn left (no signpost) onto Newark Road A1434. Keep on A1434 following Lincoln and City Centre signs. Go straight on (1st exit) at roundabout into the High Street. After 0.5 miles get in outside lane, and go straight on at lights (s/p City Centre, Worksop A57). After 0.1 miles turn right into Scorer Street. At roundabout which forms junction with A15, take 1st exit (s/p Lincoln, Sleaford A15) onto the A15. Follow Sleaford A15 signs for three miles, down steep hill and over bridge. On the bridge, get into the right hand lane to turn right (s/p Sleaford A15, Grantham A607) onto South Park Avenue. At roundabout after 3.0 miles turn right (s/p City Centre, Worksop A57) into the High Street. After 0.5 miles get in outside lane, and go straight on at lights (s/p City Centre, Worksop A57). After 0.1 miles turn right into Scorer Street. 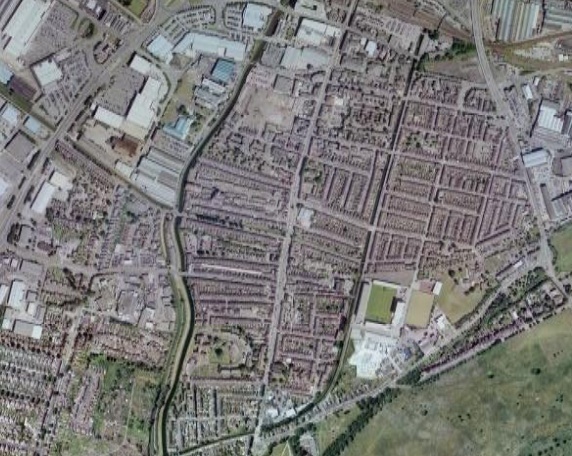 The nearest railway station to Sincil Bank is Lincoln Central. The ground is a 10-15 minute walk from the station. 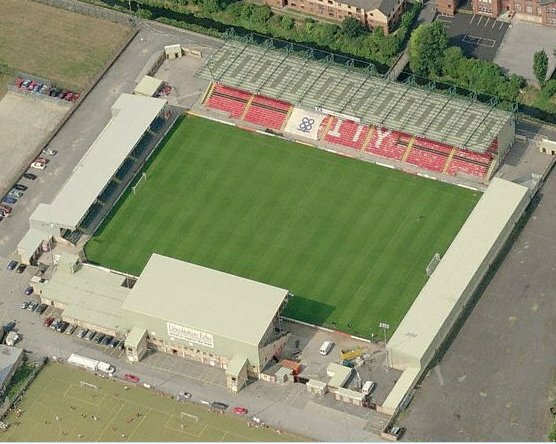 There is a small car park at the ground and also plenty of parking in the side streets in the Sincil Bank area. 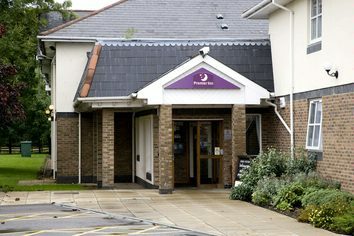 A short distance away next to South Park Roundabout, extra car parking is available on the South Common for a small charge. 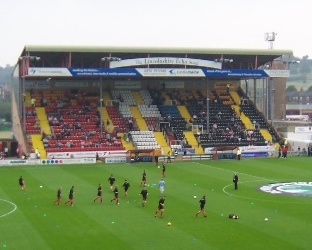 Email us to recommend any local attractions near to Sincil Bank and we will list them here. Email us to recommend any pubs and restaurants near to Sincil Bank and we will list them here.